Piet Mondrian was an abstract artist who believed that all objects can be reduced to the simplest of forms. His abstract compositions, based on primary colors and black lines have influenced designers, marketers and art lovers the world over. 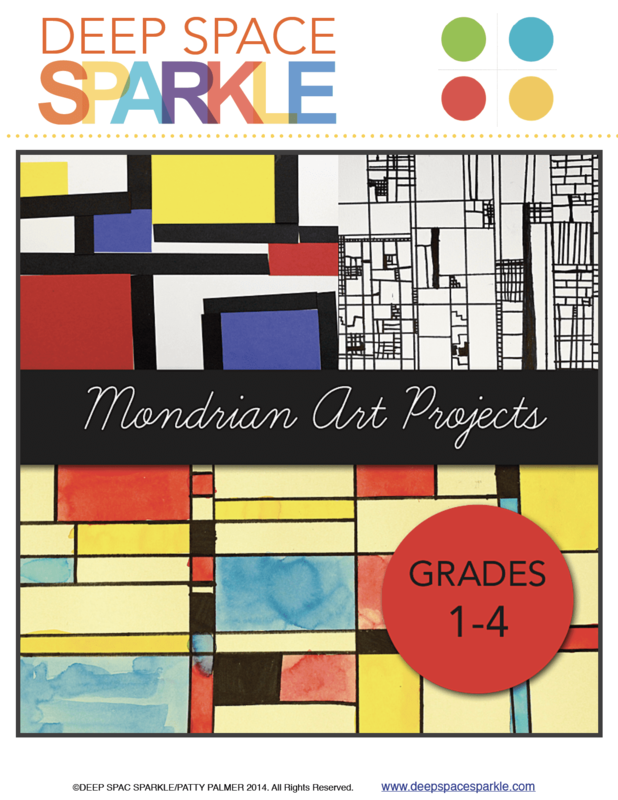 These three Mondrian-inspired lessons are designed for children in grades 1-4. All lessons combine the Elements of Art (shape, color, line) with basic math principles such as using straight edges, creating right angles and drawing a grid. The lessons progress in difficulty so that you can choose which lesson is right for your group. Paper Mondrian – Younger students use pre-cut primary colored paper shapes to create a grid composition of white paper. Oil Pastel Mondrian – Children use oil pastel to draw a grid using a straight edge. Emphasis on grid composition is encouraged. Watercolor paints add the final finish. Marker Mondrian – Older students use a black marker to draw their grid using the same principles as the earlier lesson and watercolor paints to select which shapes and which to color.